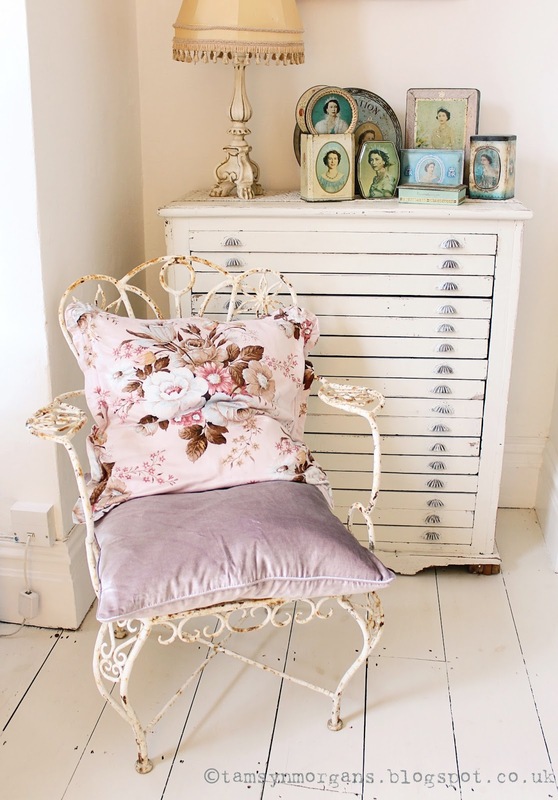 I have two of these amazing vintage wrought iron garden chairs. They sit very beautifully on my decking during the summer months, alongside reclaimed zinc planters and dolly tubs containing little olive trees. However given their age and condition, I have decided to bring them inside for the winter, to protect them from the rain and frosts. I love the idea of bringing rustic and weathered items indoors – it adds character and patina to a room. 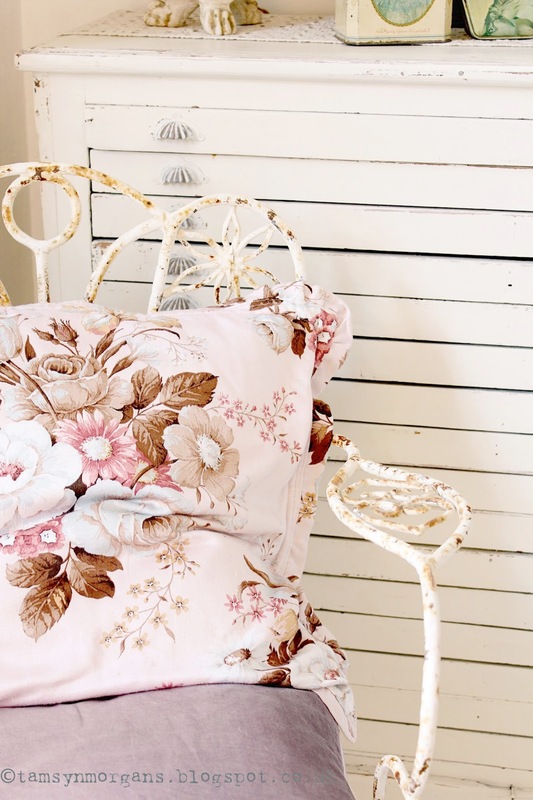 Not only that, but chipped paint and rusty metal sit beautifully alongside textiles in faded vintage hues. This is absolute perfection! I love it. I have my own antique cast iron garden furniture in use in my dining room as my dining set. I just love them because they are comfortable and visually light and airy.